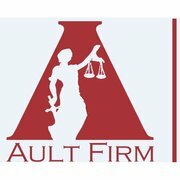 Are you looking for an experienced divorce attorney in Salt Lake City? Your search ends here. Divorce does not end with a settlement. There are many issues, such as child custody, visitation, spousal support and modifications that will affect the lives of clients and their children. Tun to The Ault Firm P.C. Christopher Ault, at The Ault Firm P.C. provides legal counsel in family law matters. While selecting a Salt Lake City divorce lawyer, it is imperative to have representation from a lawful expert that is committed to help protect and look after the best interests of each of my clients in every facet of Utah family law.